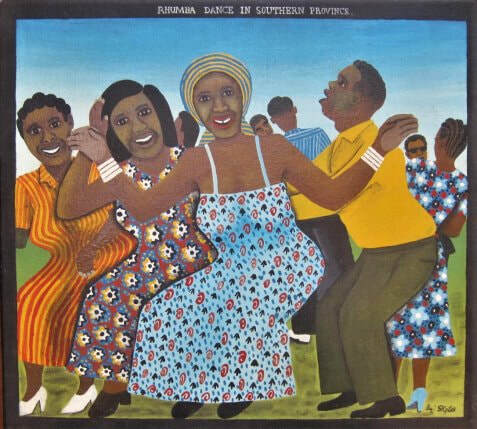 Stephen Chipango Kappata (1936 - 2007) is one of a handful of Zambian artists with both a national and international reputation. He was already in his fifties when he, supported by Anne Lise Klausen, successfully exhibited in 1986 at Mpapa Gallery (now defunct). 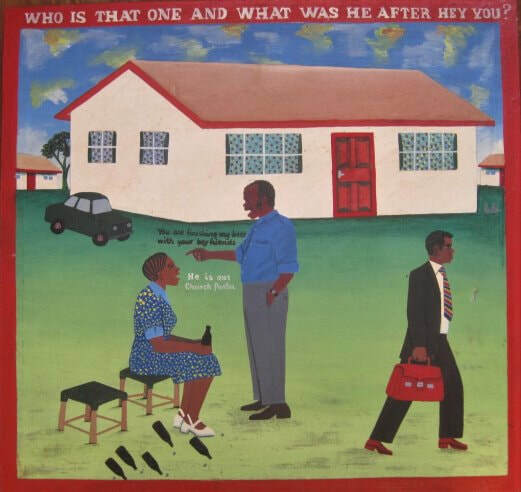 He also had an exposition at the Choma Museum Art Gallery (also defunct) and many other Zambian venues. Abroad he exhibited in Helsinki, Habana, Glasgow, Beijing and Paris. His paintings attracted a broad audience both by their subject matter and his style of presenting. Early in his career Kappata briefly trained in England as in illustrator and from there he developed a way of didactically presenting the visual elements of his compositions. 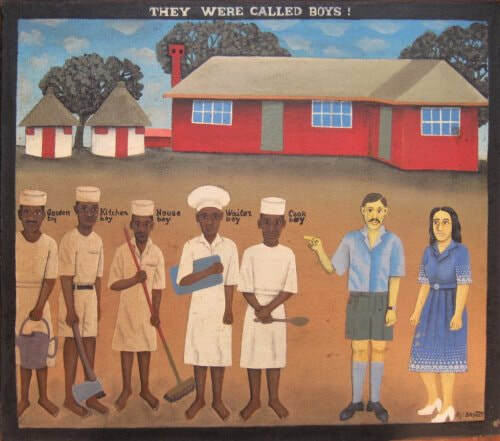 These compositions were inspired by traditional life and ceremonies, life in the colonial days, and current events or situations both social and political. He presented a style his own, of the so-called naive kind, and like all good naive artists, in a manner that was misleadingly simple. He was quite a skillful designer, a good craftsman and a solid entrepreneur. His designs were kept in a catalogue of which he chose to make new copies based on the original model now executed with variation. 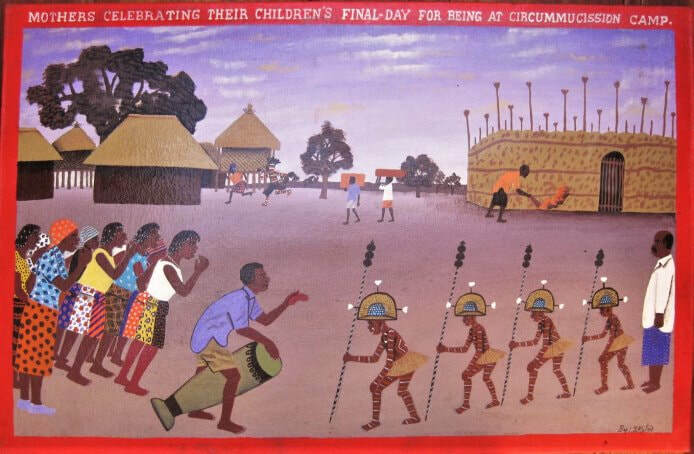 His work rightly is part of the Zambian artistic heritage because it is so Zambian indeed, enriching it with unique depictions of its history and culture. 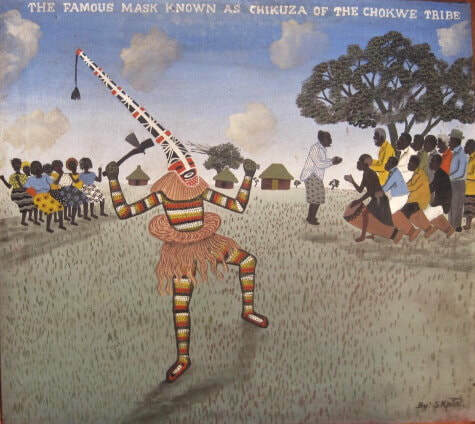 Kappata is included in Art in Zambia (Gabriel Ellison, 2004) as a leading artist and appeared in the prestigious journal African Art in an article written by historian Hugh Macmillan who personally knew Kappata. He also is included in the Routledge Encyclopedia of Modernism. 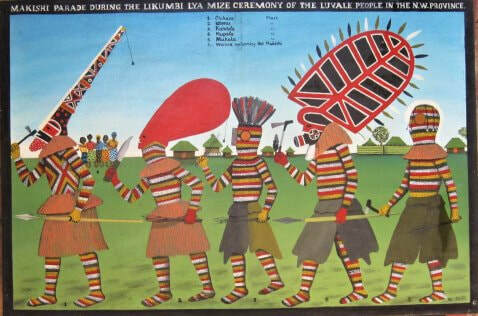 Ellison, Gabriel (supported by the Publishing Committee of the Zambia National Visual Arts Council). 2004. Art in Zambia. Lusaka, Bookworld Publishers Ltd.
See more: Google Stephen Kappata in Google images. You’ll see some paintings presented here as they belong to my collection.